How much is Joshua Kushner Worth? 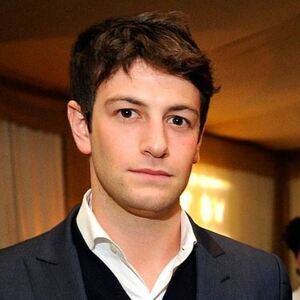 Joshua Kushner net worth: Joshua Kushner is an American businessman, entrepreneur, and investor who has a net worth of $800 million. Joshua Kushner was born in Livingston, New Jersey in June 1985. Kushner is the founder and the managing partner of Thrive Capital which is an investment firm. He is also the co-founder of Oscar Insurance. He graduated from Harvard University and then Harvard Business School. Kushner's career started at Goldman Sachs and he founded Thrive Capital in 2009. Thrive Capital has been involved in many companies including Instagram. Kushner co-founded Oscar Insurance in 2012 as a health insurance start-up that focused on technology. He also co-founded the technology enabled framework Cadre which matches up high net worth investors with real estate opportunities. Joshua's brother Jared Kushner is marred to Ivanka Trump. He is has been romantically linked to model Karlie Kloss since 2012. A 2018 wealth disclosure report from Jared, showed that the family controls a $7 billion real estate portfolio and that each sibling's share of that trust is worth $800 million.